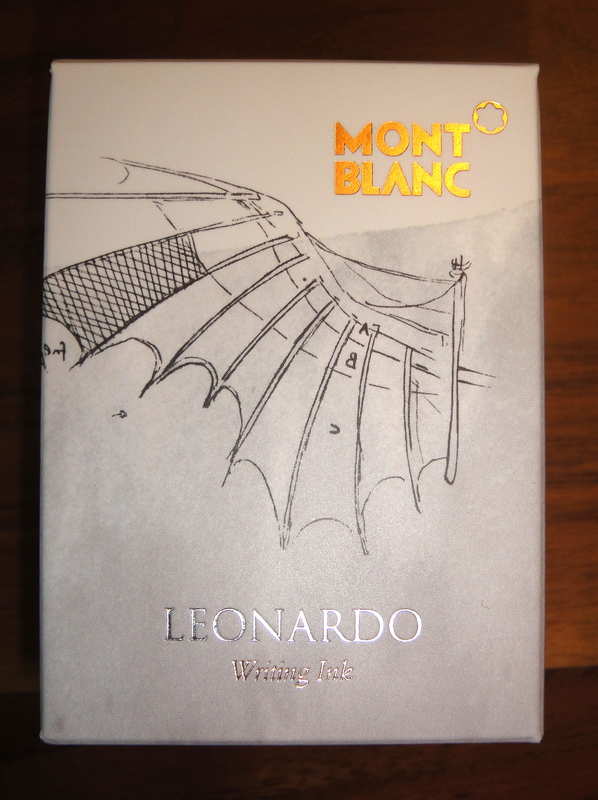 The Montblanc Leonardo da Vinci Red Chalk is a limited edition ink that was introduced with the Montblanc da Vinci fountain pen. 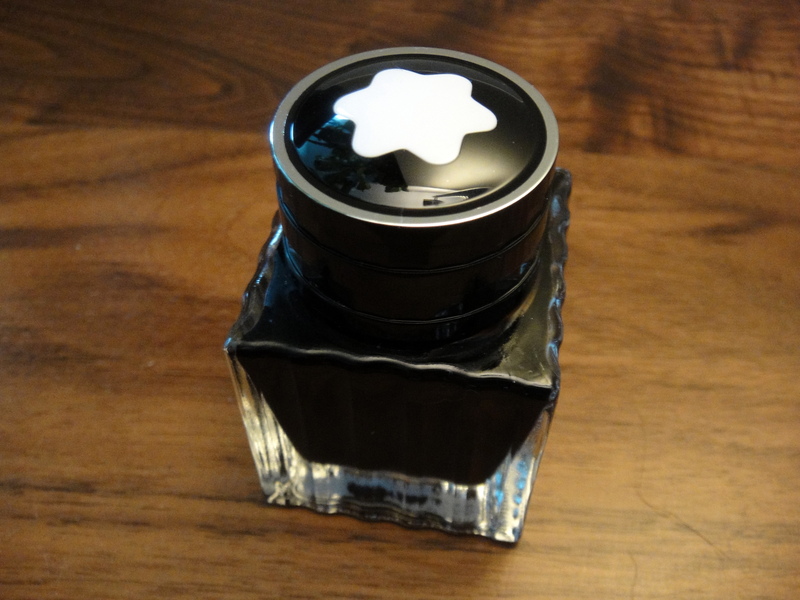 The 30ml bottle is the same standard ink bottle I have seen with the other inks in the Montblanc “Great Characters” series. The color is a nice reddish brown color that to me looks a bit like a darker version Noodler’s Antietam. I have not see any issues with feathering or bleed through on the papers I have tested the ink with so far. There is a good amount of shading and saturation so I am not sure why it’s called “Red Chalk”. The flow is a little on the dry side but it’s not dry enough to prevent me from using the ink. 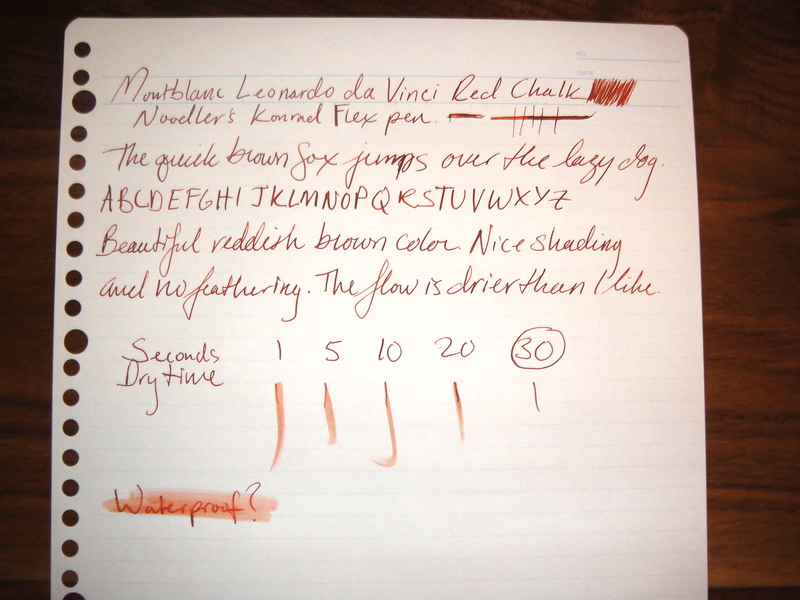 Dry time is about average and the ink is not waterproof. Overall I really like this ink. I am going to have to try and get another bottle before they sell out.